Each year the Faction is on the cutting edge of the vest market and 2009 is no different. 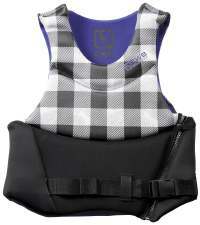 The first Non-CGA vest from CWB offers a unique angled side-entry to increase ease of use and comfort for the rider. This vest comes with a locking zipper and button to keep you in the vest on even the hardest falls. This vest has function, style and goes perfect with the rest of the Faction products designed specifically for any rider.